Data should be used across implementation stages to support program selection, fidelity, and accountability through model-pertinent feedback loops. 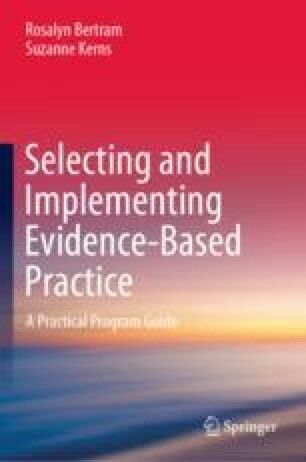 In this chapter, we present examples of how data are used across implementation stages. We also review the development and use of symptom and intervention monitoring systems. The right data provide an incredibly useful means to assess client needs or behaviors of concern and to track client outcomes during service delivery. Well-organized implementation planning processes use data to provide accountability within an organization as well as between the organization, the community, and funding sources.